This post sponsored by Mirum. All opinions are, as always, 100% my own. 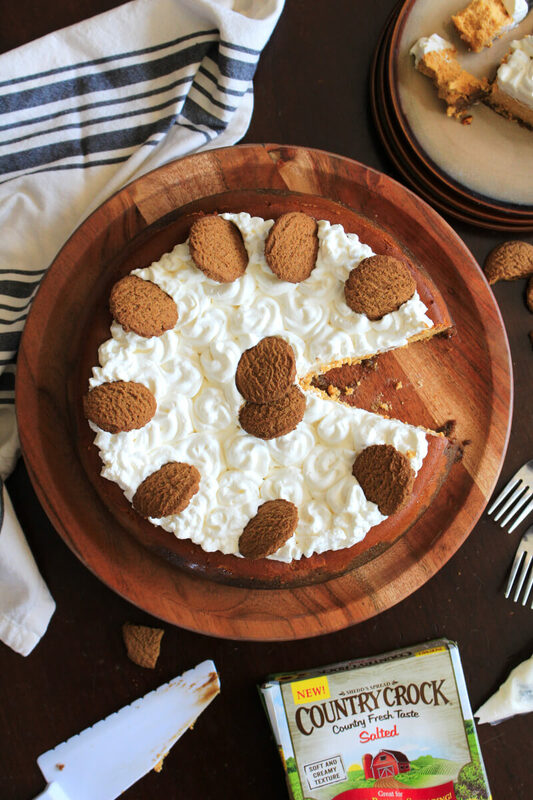 This Pumpkin Cheesecake with Gingersnap Crust is rich, festive, comforting and the perfect dessert for holiday celebrations! I'm going to be brutally honest with you today. Holiday desserts aren't really my thing. I know, I know, sounds crazy, right? But it's true, When Thanksgiving and Christmas roll around, I ignore all of the 'save room for dessert' comments and stuff myself silly with the appetizers and main course. Apple pie, pumpkin pie, pecan pie, and peppermint anything are not high on my list of favorite things to eat so I usually just skip dessert altogether on holidays. There is one exception though. I always save room for cheesecake! 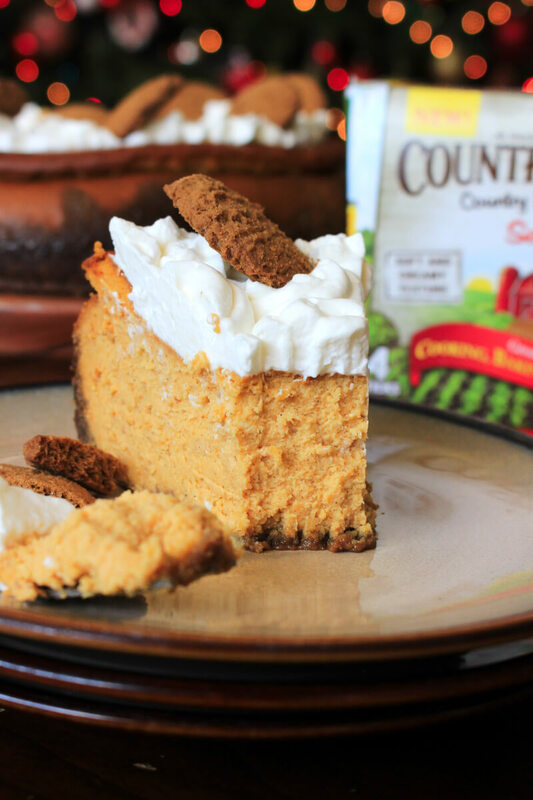 I was so excited to when my friends at Country Crock® asked me if I wanted to try their new Buttery Sticks in a luscious Pumpkin Cheesecake recipe. Of course, I said yes! I can't resist a big ol' cheesecake and I'm always down to try new products in the kitchen. Have you tried the new Country Crock® Buttery Sticks? They are made with sunflower oil in a blend of plant-based oils, have a soft and creamy texture, and can mix easily right out of the refrigerator and into your favorite recipes – no softening needed! With 45% less saturated fat than butter per serving (1 serving of Country Crock Buttery Sticks contains 3.5g saturated fat and 11g total fat; one serving of butter contains 7g saturated fat and 11g total fat), Country Crock® Buttery Sticks can replace butter in recipes at a 1:1 ratio. I can't tell you how many times I've gone into the kitchen to start baking and I've forgotten to take out the butter to soften. I love to get into the kitchen with my kids to bake around the holidays and nothing is worse than telling them we have to wait an extra 45 minutes for the butter to get soft. These new sticks would eliminate that problem altogether. 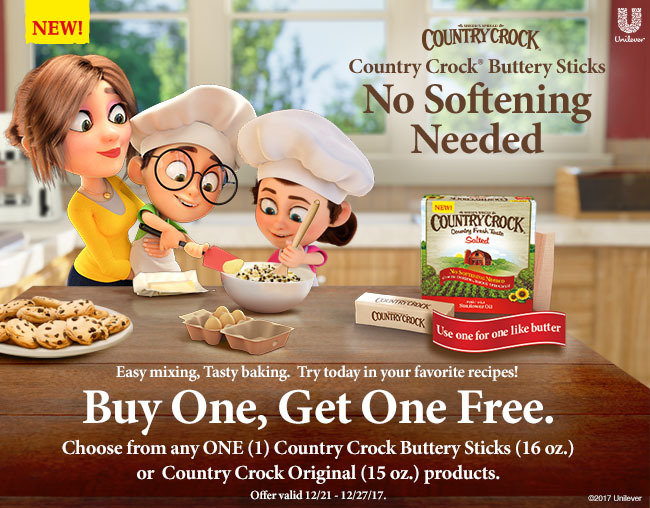 If you want to try the new Country Crock® Buttery Sticks in your baking this year, you can snag a great deal right now at Publix! Get them now Buy One, Get One Free. Choose from any ONE (1) Country Crock Buttery Sticks (16 oz.) or Country Crock Original (15 oz.) products. Offer valid 12/21 - 12/27! Find your local Publix here. Are you a cheesecake fan like me? How about a pumpkin lover? This cheesecake is the best of both worlds! It is creamy, rich, and absolutely delish, boasting the flavors of a pumpkin pie. Your family would love it if you made this for your holiday celebration this year! I've only made a handful of cheesecakes myself, and often I get cracks in the top even when following the directions to a T. If your cheesecake cracks like mine did, don't fret. It will still taste amazing, promise. 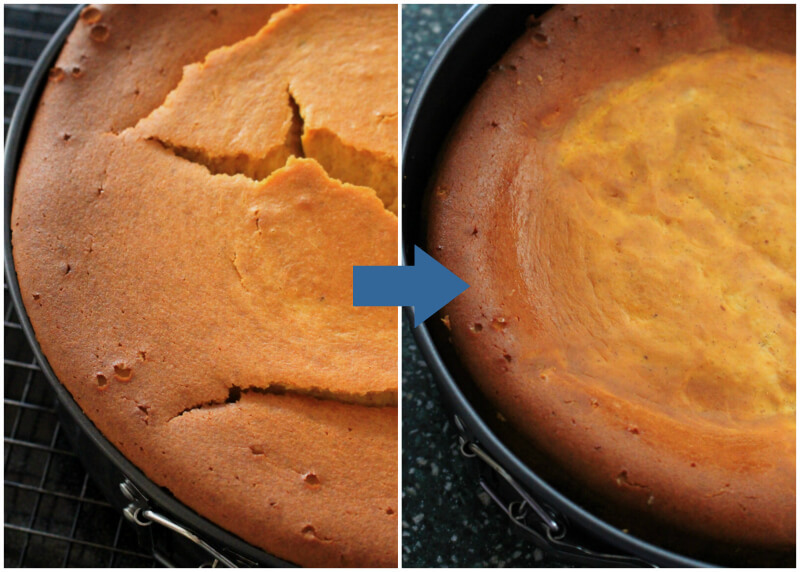 All you need to do is use a warmed butter knife and you can smooth the top out. It's quite easy and will fix those pesky cracks in no time. Or, just leave them! The whipped cream will cover them anyway, right?! All that matters is the taste and this recipe tastes fab. I should also mention that I loved this recipe's the gingersnap crust. 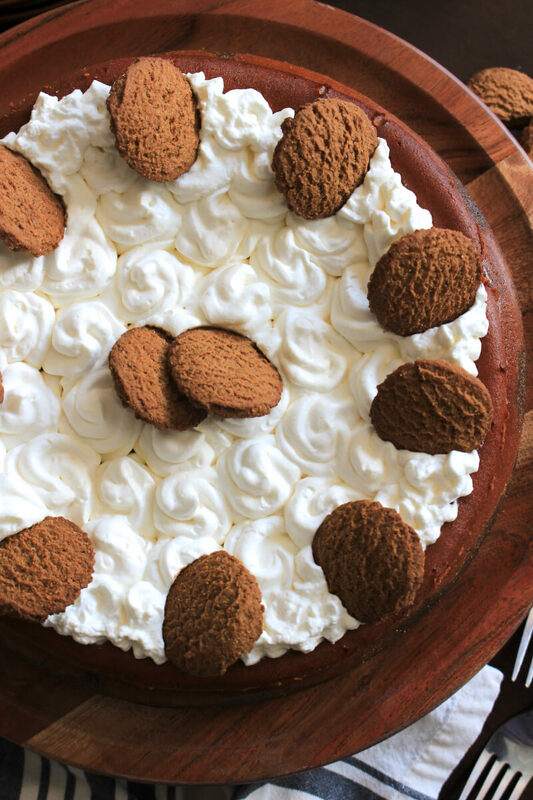 The spiced cookie crust was the perfect compliment to the pumpkin flavored filling. Because the gluten free Buttery Sticks don't require softening, they mixed right into the crust mixture with no problem at all. You can use the Country Crock Buttery Sticks for making soft and chewy cookies and fluffy buttercream frosting, too! What are you baking this year? No matter what you are making, using the Country Crock Buttery Sticks with shorten your prep time and give you more time to spend with the ones you love. 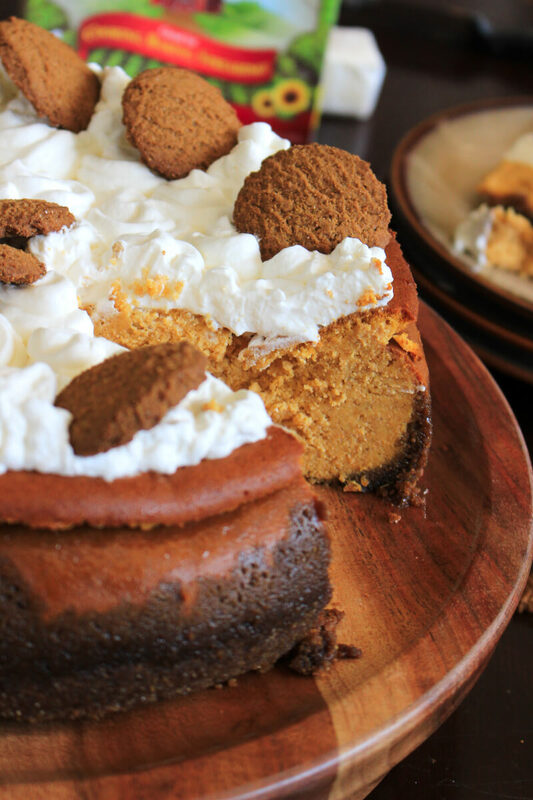 Adding a Pumpkin Cheesecake to your holiday menu will have everyone in your family looking forward to holiday dessert this year. You can make it ahead of time and there's plenty to serve to a crowd. I know you'll love it! If you try this recipe or the Buttery Sticks in another baking recipe, I'd love to hear what you think in the comments below. Enjoy! 1. Place a 13 x 9-in. roasting pan filled halfway with water on bottom rack in oven. Preheat oven to 325°. 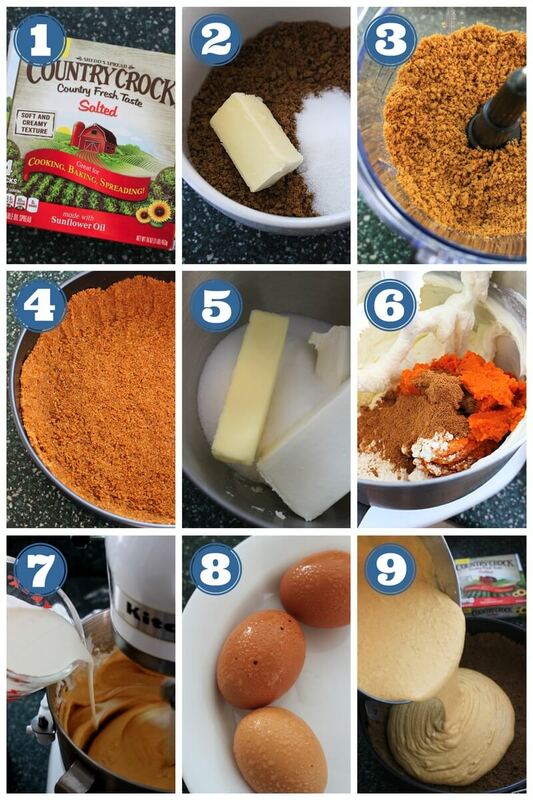 Combine cookie crumbs, 1/4 cup sugar and 1/4 cup Country Crock® Buttery Sticks in a small bowl. Press crumb mixture onto bottom and halfway up sides in a large springform pan; set aside. 2. Beat cream cheese and remaining 1-1/2 cups sugar and 1/2 cup Country Crock® Buttery Sticks in a medium bowl, with an electric mixer until mixture is creamy, about 3 minutes. Beat in pumpkin, flour and pumpkin pie spice until smooth. Gradually beat in eggs, cream and vanilla until smooth. Pour into prepared springform pan. 3. Bake in center of oven 1 hour 30 minutes or until edges are golden and middle is almost set. Without opening the door, turn oven off and let cheesecake stand in oven 30 minutes. Cool completely on wire rack. Cover and refrigerate overnight. Best if made 1 day ahead. I like my cheesecake served with fresh whipped cream. In a cold mixing bowl, beat 1 cup heavy cream, 2 tablespoons powdered sugar, and 1/2 teaspoon of vanilla extract until light and fluffy. Easy peasy!